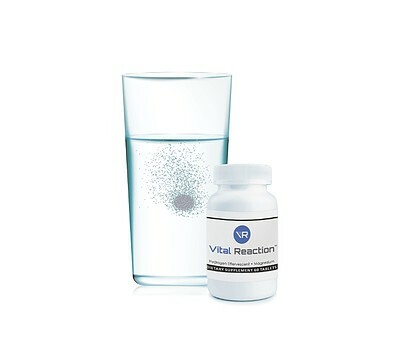 The Vital Reaction™ Tablet is an effervescing tablet that saturates any non-carbonated beverage with millions of molecular hydrogen nanobubbles. Vital Reaction™ Tablets produce the most powerful cloud of H₂ in the least amount of time with the most ease of use. 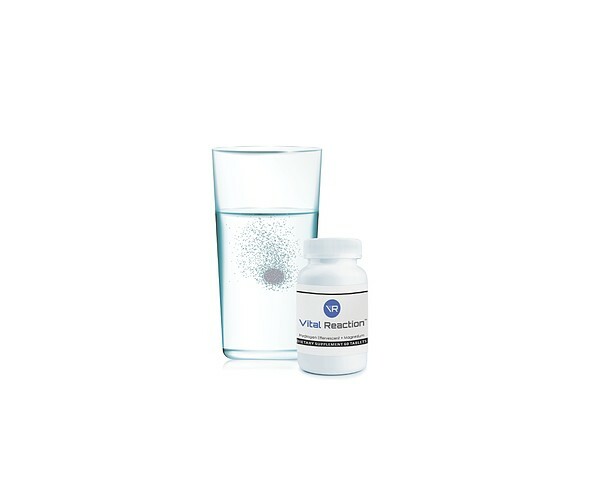 "Molecular Hydrogen for Healing and Rejuvenation"
Vital Reaction™ Tablets offer the incredible benefits of H₂ for workouts, work-days and everything in between. Molecular hydrogen (H₂) is a unique antioxidant. H₂ eliminates only the most harmful free radicals, reduces oxidative stress and puts the body in balance. Due to its small size and bioavailability, it easily crosses cell membranes, the blood brain-barrier and accesses parts of the cell that other antioxidants are too large to reach. H₂ is the perfect antioxidant mediator, anti-inflammatory and cell signaling molecule. DR MARK SIRCUS BOOK IS NOW AVAILABLE ( May 2018) check his website. Dr Mark Sircus, Ac., OMD, acupuncturist, doctor of oriental and pastoral medicine is a prolific writer and author of some important medical and health-related books. Dr. Sircus's methods are based on medical science and long years of clinical experience, not only his own but experiences of doctors from around the world who have been practicing brilliant medicine. Treating cancer with hydrogen,oxygen and carbon dioxide is an approach that treats the fundamental reasons cancer cells form and get aggressive in the first place. Cancer should be treated, not like the genetic disease it is not, and more like the metabolic disease it is. Hydrogen though is good for every aliments know to mankind just as it is essential for every star in the universe. In reality, the sicker a person is more they will experience the benefits of hydrogen. Hydrogen can be flooded into the body to put out the worst flames of inflammation and oxidative stress. In Hydrogen Medicine we flood the body with the three primary gases—hydrogen, oxygen and carbon dioxide—as a first course of action in all dire medical situations. Same goes for any chronic or acute condition like the flu. The longer one wants to live the more one supplements with these primary gases. The most powerful healing/medical/anti-aging device in the world is a hydrogen oxygen inhaler. Hydrogen gas therapy is a promising novel treatment for emergency and critical care medicine as it exerts a therapeutic effect in a wide range of disease conditions: From acute illness such as ischemia–reperfusion injury, shock, to chronic illness such as metabolic syndrome, rheumatoid arthritis, and neuro-degenerative diseases.